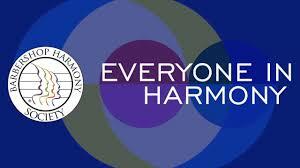 The Barbershop Harmony Society recently announced that BHS membership is open to everyone, rather than just men. What does that mean for the Barrie County Chordsmen and our chapter? Well, we have no idea yet! We are still waiting on more information from the society, and then once we have that information we'll decide what to do next - but that could take quite some time to sort out. In the meantime, feel free to email us with any questions you might have.